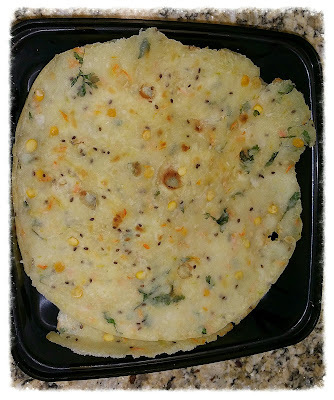 This recipe was given by my friend santhoshi, who is from telangana.She showed me how to prepare Tapala Pindi and they also call them as Sarva Pindi/Spicy rice Flour pancake/Ginnappa.This a a traditional dish from telangana made as evening snack.Sarva pindi is a pancake made with rice flour, channa dal and chopped green chillies and spices to make it a delicious and health. Soak chana dal in water for 30 min's. Now take bowl add drained chana dal along with chilli powder, sesame seeds, onion , green chilli, curry leaves,ginger garlic and salt, mill well and then add water little at a time, until chapathi dough consistency. Take a flat deep non stick pan, add oil spread all over the pan. Take a orange size dough and press it over the tawa with your hands till it gets even. Using your fingers makes small holes all over and drizzle some oil in the holes and cover it with a lid and cook in slow flame till it is golden brown color. If you need you can turn over and cook or else remove and serve with chutney.